Traditional or herbal medicine practice in Ghana is a big deal. At the last count, the WHO estimated that there were around 100,000 traditional medicine practitioners, including spiritual healers, across the country. In fact, traditional practitioners outnumber modern doctors 30 to 1. 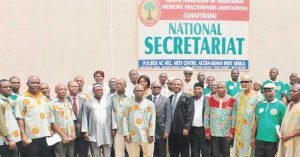 Owing to the important role of traditional medicine practice in the country, the Ghana Federation of Traditional Medicine Practitioners Associations (GHAFTRAM) was established in September 1999 by the government of Ghana to help streamline their activities for better regulation. The association has, over the years, grown into a conglomerate of traditional medicine practitioners and businesses whose activities have been to champion the inherent knowledge of traditional medicine and policies for better recognition and regulation for the practice. One of such activities is the hosting of the Traditional Medicine Week. For the past 19 years, the week-long event has drawn attention to traditional medicine practice in the country. A few weeks ago, the association launched the 19th celebration which coincided with the commemoration of the 16th African Traditional Medicine Day on the theme: ‘Local Manufacturing of Traditional Medicine Products In The African Region’. The three-day event, held in Koforidua in the Eastern Region from August 29 to August 31, brought together healthcare professionals from different backgrounds for the exchange of ideas and to find new solutions to help improve healthcare services, particularly in the area of traditional and alternative medicine (T&AM), which is an important and often underestimated part of healthcare. An exhibition by members of the association was also held to show the products of members. “Congratulations to all who have contributed in diverse ways to the development of traditional medicine in Ghana. Special salutations to our forebearers whose tireless efforts had left this great legacy for posterity,” Dr. Anastasia Michaelina Yirenkyi, Director of the Traditional & Alternative Medicine Directorate, Ministry of Health,” stated. She said T&AM is found in almost every country in the world and the demand for its services is increasing as it is proven to be of quality, safe and efficacy and contributes to the goal of ensuring that all people have access to healthcare. Indeed, many countries recognise the need to develop a cohesive and integrative approach to healthcare that allows governments, healthcare practitioners and most importantly those who use healthcare services to access T&AM in a safe, respectful, cost-efficient and effective manner. Years before the introduction of the allopathic medicine practice in Ghana, Dr. Yirenkyi, who is the immediate past director of the Mampong Centre for Traditional Medicine Practice, explained that the populace depended solely on traditional healers, faith healers, traditional birth attendants, ‘wanzams’ and others for their healthcare needs. Native doctors used leaves, stem bark, roots, seeds, flowers and fruits of plants and trees for medicinal and therapeutic purposes for the treatment and management of communicable and non-communicable diseases with use of herbal medicine in the development and production of orthodox medicine increasing enormously over the years. The use of natural products with therapeutic properties is as ancient as human civilisation. There are 252 essential medicines that have been considered by World Health Organisation (WHO) for the treatment and management of communicable and non-communicable diseases. Out of these drugs, 25 per cent are exclusively from plant origin and a significant number are synthetically manufactured, thus, modern pharmacy originates from herbal medicine. Dr. Yirenkyi observed that while the country and the African region have come a long way in the practice of traditional medicine, there are still some bottlenecks in the unique sector. The standardisation, efficacy, quality, availability and preservation of medical products and services both allopathic and traditional have become major concern to policymakers, health professionals, as well as the general public. She said unlike the conventional medicines which have their source as pure chemical compounds, herbal medicines derive their sources from plants materials from different geographical regions, which may in most cases, not guarantee their quality. “Standardisation of herbal medicines is often a very difficult task because of the complexity of their diverse phytochemical constituents with their corresponding therapeutic activities that may depend on numerous factors such as, the age of the plant, time and mode of collection, seasons, different locations with different soil components, just to mention a few. These indicators invariably affect the pharmacological activity of the finish products for the production of quality and efficacious herbal medicines,” she stipulated. 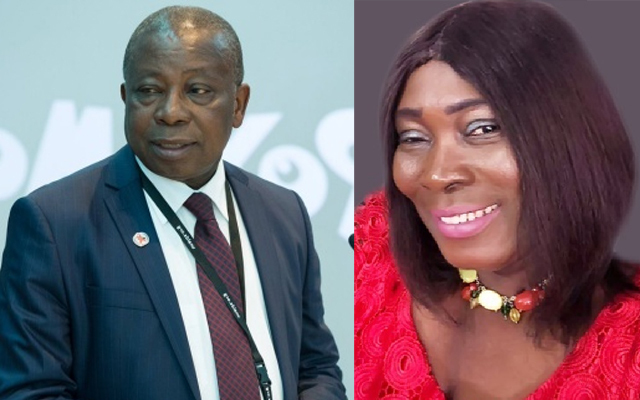 Despite the challenges the African region and Ghana face in the practice of traditional and alternative medicine, attempts have been made to address these concerns not only in Ghana but Africa as a whole. The WHO regional office for Africa has developed guidelines that would enable institutions and companies to manufacture products that are acceptable in the region. “It is upon these guidelines that the ministry seeks to ensure proper production practices,” Dr. Yirenkyi explained. She further pointed out that improvement in the quality of products and services could be achieved by deliberate implementation of good agricultural practices (GAPs) at the point of cultivation of medicinal plants and good manufacturing practices (GMPs) during the process of manufacturing and packaging of finished products, as well as post-marketing quality assurance surveillance. “The world at large is turning to nature, therefore, there is the increasing demand for herbal medicines for prophylaxis and the treatment of various disease conditions such as malaria, typhoid fever, musculoskeletal diseases, diabetes, hypertension, skin diseases, HIV/AIDS, cancers, etc. This calls for collaborative efforts of all stakeholders, especially the manufacturers of herbal medicine products to adhere to global standards to ensure that quality is not compromised. Other stakeholders such as policymakers would ensure that challenges and bottlenecks facing the herbal medicine industry have been brought to minimal,” she opined.